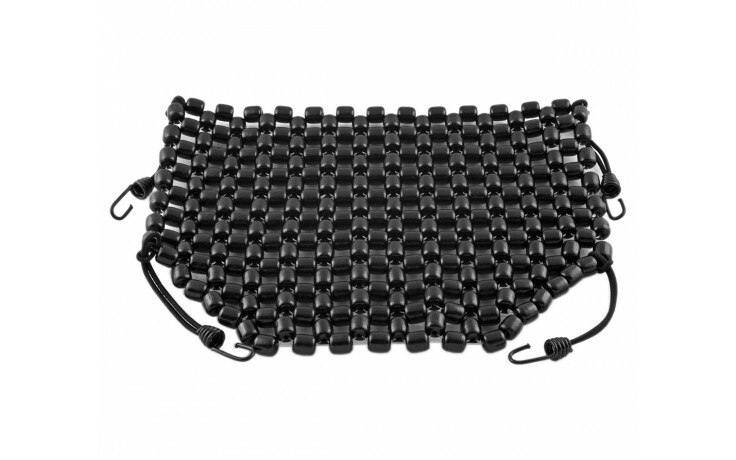 The black beaded seat cover measures 11 inches x 16 inches. 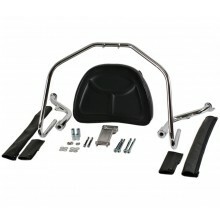 Fits the GL1500 and GL1800 driver seats and can fit many other seat styles that can accommodate this size. Single. The black beaded seat cover will give the rider a more comfortable ride by allowing air to circulate between the user and the seat to help keep you cooler in hot weather or dryer when it is raining. It is one inch larger than any others on the market and the rounded beads make long distant travel more enjoyable. Easy on and off with a bungee cord system. Measures 11 inches x 16 inches. 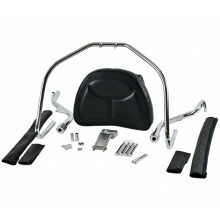 Fits the GL1500 and GL1800 driver seats and can fit many other seat styles that can accommodate this size. Single.